More parodies have been written targeting Sherlock Holmes than anyone else dead or alive, fictional or real. James M. Barrie, the author of Peter Pan, started it all back in the early 1890’s and Sherlockian parody has been coming out regularly ever since, right into the age of the internet. While Sherlock’s creator Sir Arthur Conan Doyle lived, close to 400 appeared in Britain and America. In these early parodies, Sherlock is off on the wrong track in the great Coleslaw mystery, struggling with the disappearance of the President’s Whisker, rescuing that damsel in distress, Elsa Lohengrin, and even delving into the spirit world—-and much more. Mark Twain, the Mr. Dooley of Finley Peter Dunne, Kenneth Grahame’s Ratty of The Wind in the Willows, John Kendrick Bangs, Bret Harte, Ring Lardner, C. K. Chesterton, and O. Henry all contributed to this early Bedside collection. Sherlock turns up at Wellseley College and Yale, Hades and The Garden of Eden, Peoria and the Oklahoma Territory, in the trenches of War I and often in his familiar Baker Street hangout. Sherlockian Charles Press began collecting these early lampoons as a hobby after retiring from Michigan State University. He is the author of two Sherlockian monographs, Parodies and Pastiches, Buzzing Round Sir Arthur Conan Doyle, and Looking Over Sir Arthur’s Shoulder, and “When Did Arthur Conan Doyle Meet Jean Leckie?” in The Baker Street Journal. A Bedside Book of Early Sherlockian Parodies and Pastiches is available from all good bookstores including Amazon USA, Amazon UK, Waterstones UK, and for free shipping worldwide Book Depository . In ebook format it is in Amazon Kindle, Nook and Apple iBooks(iPad/iPhone). There is something special about reading the Sherlock Holmes Society of London’s monthly journal when you know there is a review of one of your books in there. The Case of The Russian Chessboard appears in this month’s edition. 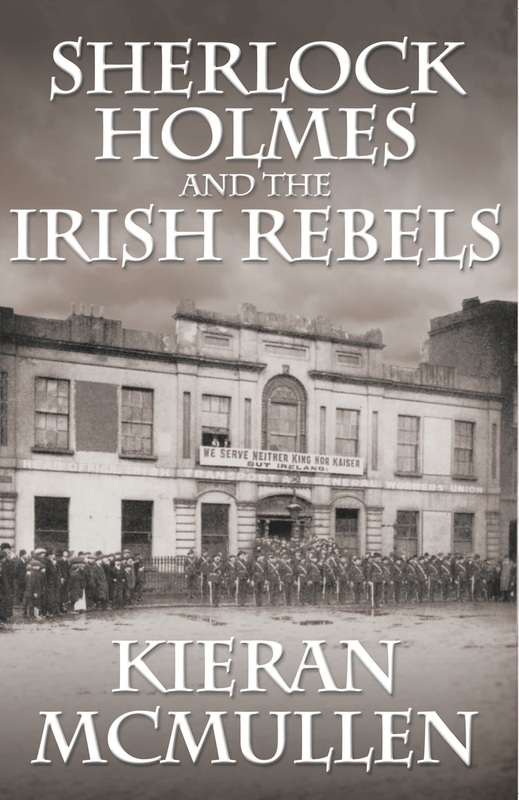 The book is proving very popular in the USA in particular and is unusual in length in that it sits between the traditional Holmes short fiction and novel length. 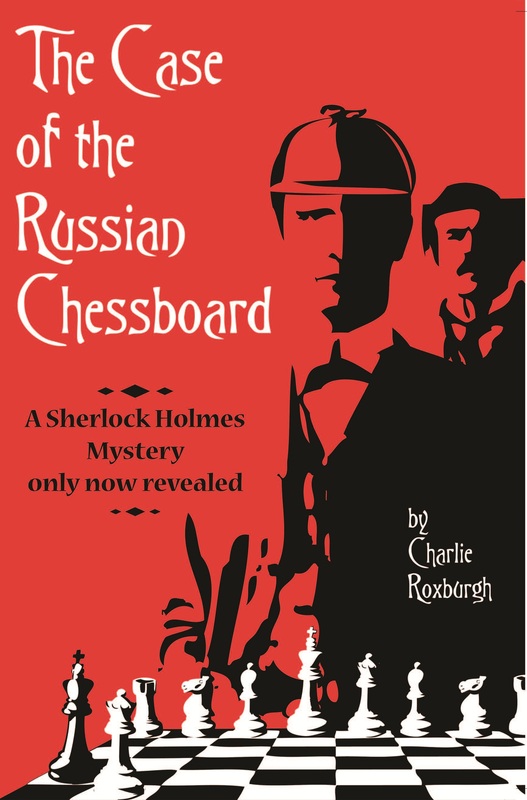 The Case of the Russian Chessboard is now out in paperback on Amazon USA, Amazon UK, and through all good bookstores. The book is also available on Amazon Kindle and all other ebook formats. Tracy Revel’s first novel Shadowfall got rave reviews worldwide, and is already being translated into Italian. The Sherlock Holmes Society of London loved it and we couldn’t wait for their review of the sequel Shadowblood – they didn’t disappoint us. “The sequel to Shadowfall is just as deliriously weird. Shadowblood by Tracy Revels introduces us again to the World of Shadows, whose interaction with our own world can be devastating. 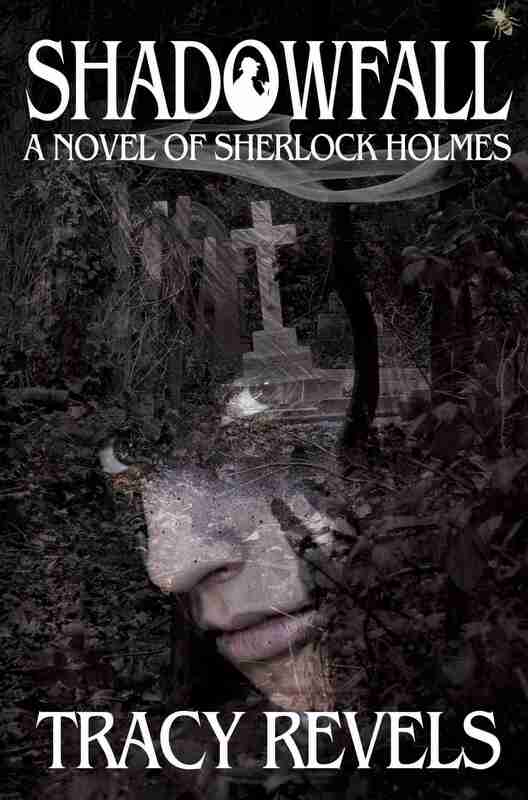 Watson’s recuperation from his previous encounters with the supernatural is interrupted when an unpleasant recluse demands that Holmes find his missing daughter. Shortly after the detective’s arrival,the old man is horribly murdered, and Holmes’s own Shadowborn powers are tested to the limit in a quest for the girl and, ultimately, for the Fountain of Youth. He and Watson travel to Prague, where they are helped by Dr John Dee, and then to St Augustine, Florida, where they receive assistance and opposition from even stranger beings. Tracy Revels has a popular blog Strictly Sherlock and Tracy was on Team 1 (BBC Sherlock) in The Great Sherlock Holmes Debate in November. She joins us for the December discussion taking place on 14th December. Sherlock Holmes and The Affair in Transylvania is is available through all good bookstores including Amazon and Barnes and Noble in electronic formats like Amazon Kindle. A history professor at Wofford College in Spartanburg, South Carolina, Tracy Revels has been a Sherlock Holmes fan since 5th grade. She teaches a class on Sherlock Holmes called “The Game’s Afoot!” along with more conventional courses in Civil War and women’s history. Shadowfall is her first novel and its sequel, Shadowblood is out this month. You can read the full and detailed review in a fascinating article on the blog Better Holmes and Gardens. Shadowfall is available in paperback from all good bookstores including Amazon, in Amazon Kindle, Kobo and iBook (ipad/phone) format. You can follow Tracy Revels Blog for her latest news.